UPDATED: Wed., Dec. 6, 2017, 6:52 p.m.
is the best path right now for Seattle to get an NHL team and bring back the NBA. 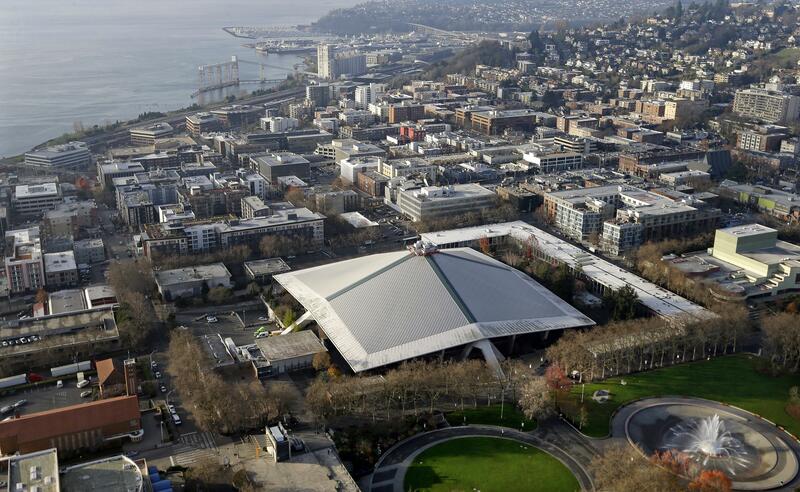 SEATTLE – Seattle Mayor Jenny Durkan has signed an agreement with a developer to renovate KeyArena so the venue could be ready for an NBA or NHL team. Durkan told reporters Wednesday the deal with Los Angeles-based Oak View Group is the best path for Seattle to get an NHL team and bring back the NBA. OVG CEO Tim Leiweke said his group will work to get a team to join the WNBA’s Seattle Storm at KeyArena. OVG would privately finance a $600 million remodel of the aging arena. The deal includes $20 million in cash and in-kind contributions to nonprofit organizations and $40 million for traffic improvements. Durkan says the deal protects taxpayers and is good for the city. She says it does not block other possible arena projects. Published: Dec. 6, 2017, 1:07 p.m. Updated: Dec. 6, 2017, 6:52 p.m.